"The actress exudes the effortless cool of an It girl," tries Vogue's Hamish Bowles in his interview with February cover girl Dakota Johnson, "from her Stella McCartney platforms and the eighties Rive Gauche and Ungaro pieces in her wardrobe (recently ferreted out from a vintage store on the Rue de Grenelle) to the discreet skull earrings that were a gift from her mother (Melanie Griffith, if you didn't get the memo; Don Johnson is her father and Antonio Banderas her stepfather)." "My most favorite thing about London," confides Dakota Johnson on the first day of our madcap foray into the capital's Fashion Week, "is that nobody recognizes me. It's really . . . cool." The movie, a very alternative love story that opens on Valentine's Day weekend, might just make Dakota this decade's Vivien Leigh. "We couldn't offer her the part until we felt there was a definite chemistry between her and whoever was going to play the part of Christian," says Taylor-Johnson. Dakota is also "very funny," likes Colorado, and calls her grandmother "Mormor." 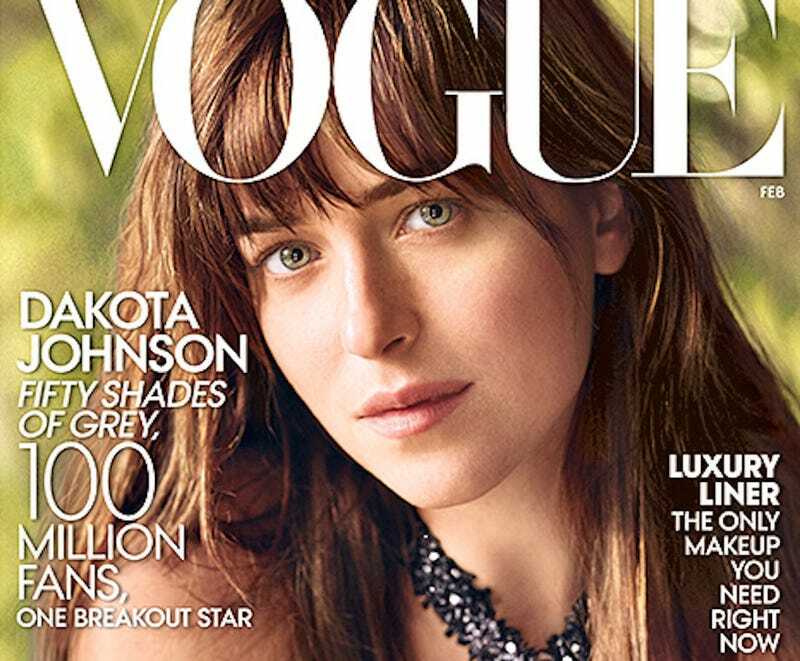 For more scintillating primary source material on the Fifty Shades star, head over to Vogue.com or check out the very confusing video below.